Sarah was raised in Westchester County but escaped to the countryside as fast as she was able. After graduating from the University of Rhode Island with a Bachelors in Education, she found her first love in pre-hospital care. Sarah became the first licensed Paramedic in Rhode Island, serving as Acting Director of the VT Paramedic Training Program. During this time she practiced pre-hospital medicine for 10 years in Boston, followed by an another 10 years in Colonie, NY. She obtained her first Masters Degree in Mental Health from the College of St. Rose, where she taught for several years. Sarah maintained a private practice in Psychotherapy for 7 years in the Albany/Troy area. During this time she practiced as a FEMA debriefer for 9/11 responders and remains actively engaged in the field of Post Traumatic Stress treatment today. Sarah obtained an Associates Degree in Nursing, and worked in Intensive Care and Emergency Medicine for 6 years. She finished her second Masters in Nursing through Sage Colleges, becoming Board Certified as a Family Nurse Practitioner. 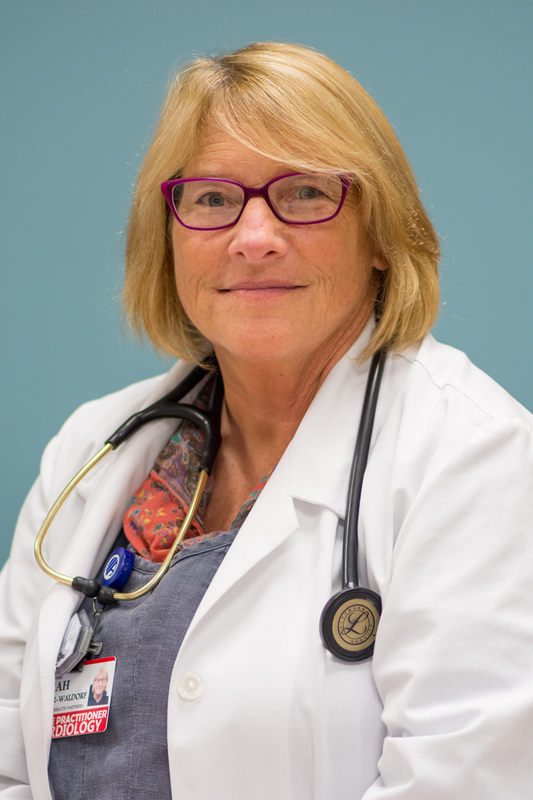 She has worked for Capital Cardiology since 2017, spending most mornings following patients at Samaritan Hospital and most afternoons in the Burdett (Troy) office. For fun Sarah raises Eastern Block lineage German Shepherd dogs and Portuguese Lusitano horses on a small farm in Petersburg. She does her best to have her faith inform both her practice and her life. She is most proud of her son Ryan who is a Navy Corpsman serving in Okinawa, Japan.